Adha and Krishna, Indian Hindu deity, collectively known as RadheKrishna, are divine couples. Krishna is the incarnation of Supreme God Vishnu and Radha is the incarnation of Goddess Lakshmi who is the wife of Vishnu. 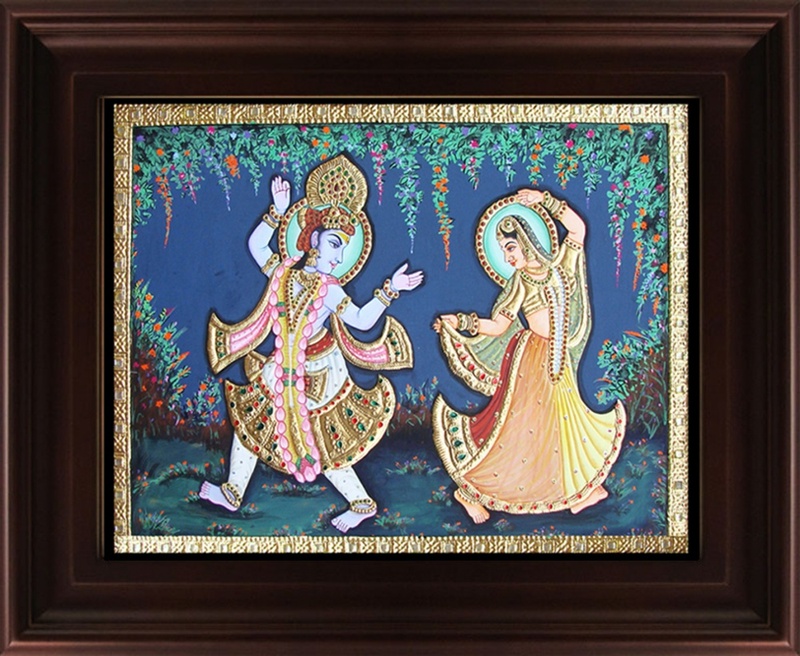 This Tanjore painting is made using gold foil and semi precious stone.